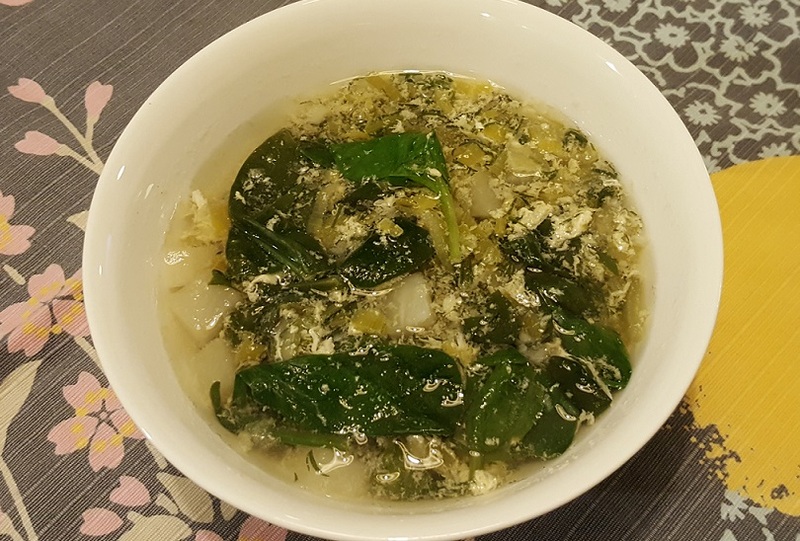 Spinach is very versatile and it is easy to incorporate spinach into a diet. That is great because spinach has so many health benefits. Vitamin C, or ascorbate, is chemically the simplest vitamin. Unlike humans, plants can synthesise ascorbate, accumulating it up to 10% of the total water-soluble ‘carbohydrates’, according to research findings. 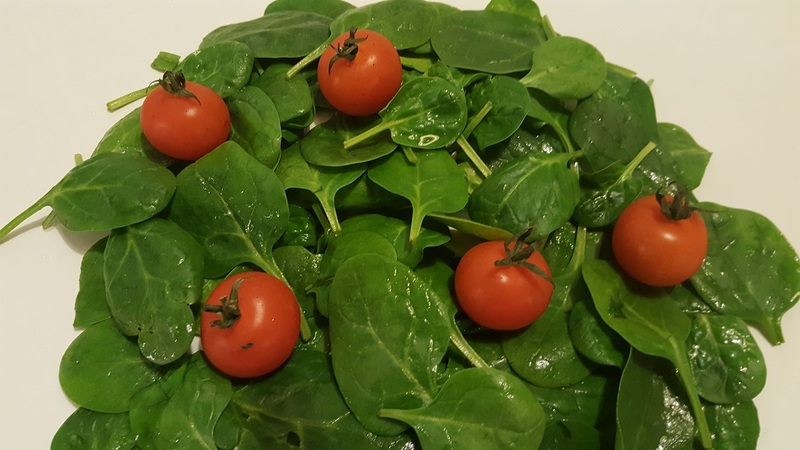 The washing process of pre-packaged spinach, which uses circulating water with chlorine-based sanitiser, “can be a potential source of ascorbate loss and younger plant tissues often have higher ascorbate concentrations than older ones, e.g. in spinach.” (Food Chemistry 233 (2017) 237–246) So, if you are buying spinach for a salad, try the baby spinach that is sold unpacked and wash it yourself. “Dark green leafy vegetables are primary food sources for lutein and b-carotene, however these bioactives have low bioavailability… Lutein liberation and in vitro accessibility were three-fold higher from spinach puree compared to whole leaves. Results for b-carotene liberation were similar, whereas that of b-carotene accessibility was only about two-fold.” (Food Chemistry 224 (2017) 407–413) This is good to know, well supports my recipe for Tabouleh. They call lutein ‘eye vitamin’. Spinach can be added to many savoury dishes, raw or cooked. I prefer cooked spinach in winter and raw in summer. We are in the middle of the winter right now in Australia. And, here I am again with a new soup recipe. Please enjoy! 1. Cook diced turnip and leek in the vegetable stock and water mix until ready. 2. In the meantime, wash dill thoroughly and chop up. Put aside. 3. Beat the eggs until consistent and creamy. Put aside. 4. When leek and turnip are cooked, add seasoning, spinach leaves, dill and garlic. 5. As the soup starts boiling, immediately add beaten eggs in a thin running stream and rotate the soup with a ladder in one direction. Add lemon juice and switch off the heat.